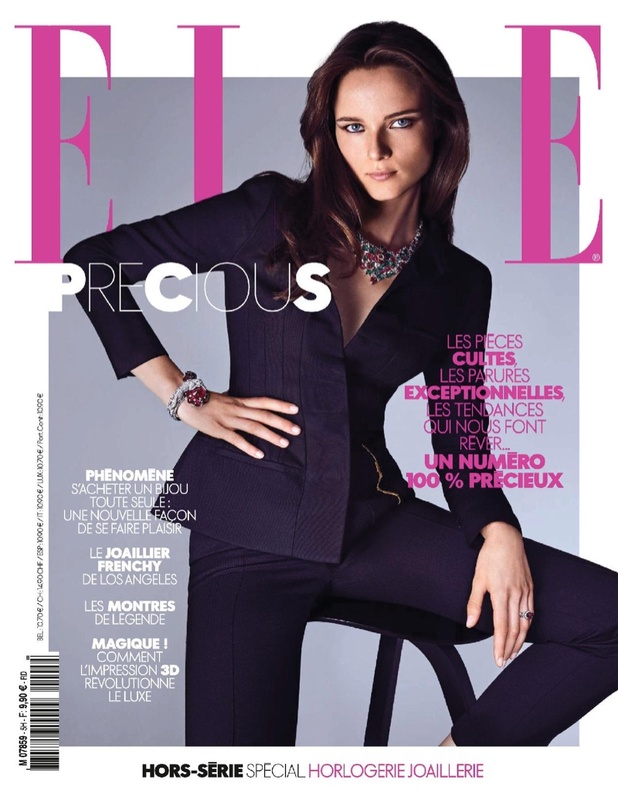 Anna de Rijk lands an appearance in the November 2017 issue of ELLE France. 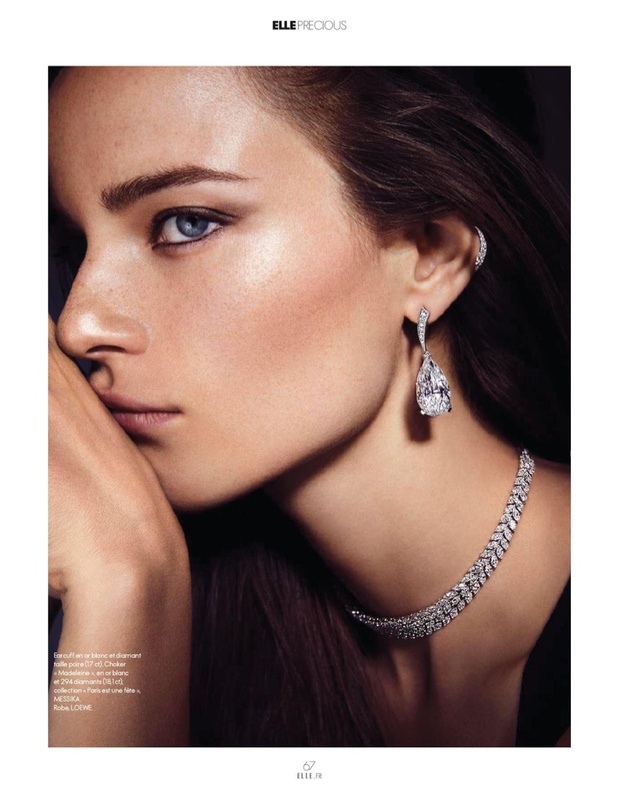 The Dutch beauty appears in a jewelry supplement for the fashion glossy. Captured by Johnny Kangasniemi, Anna sparkles in precious gems while wearing dark fashions. Stylist Diane Boulenger selects high-end pieces from the likes of Bulgari, Van Cleef & Arpels and Dior Jewellery.